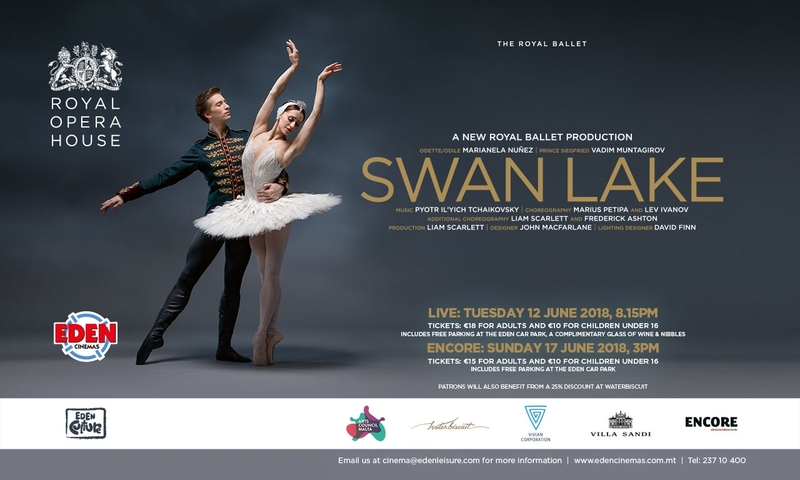 Experience the artistic masterpiece that is Swan Lake, live at the Eden Cinemas on the 12th of June, followed by an encore show on the 17th of June. Prince Siegfried chances upon a flock of swans while out hunting. When one of the swans turns into a beautiful woman, Odette, he is enraptured. But she is under a spell that holds her captive, allowing her to regain her human form only at night. Swan Lake was Tchaikovsky’s first ballet score. Swan lake is arguably the best loved and most admired of all classical ballet. It is also interesting to mention that two of our very own Maltese ballet dancers, Mayara Magri and Claire Calvert will be performing in this rendition of Swan Lake!